Follow UCI EAS on our social media platform! *Just sign up for our mailing list and email us proof of being a member of the UCI Alumni Association membership! The UCI EAS team is a group of volunteers that dedicate their time and effort creating this amazing society. They not only provide networking opportunities, but also establish a community of trust and acceptance. They ensure that all are welcome and feel included in all events, giving attendees a space for their unique perspectives and personalities. The UCI EAS Team has been going strong since 2014 when the organization was first started and continues through the generous support of the UCI School of Engineering and Alumni Association as well as the many volunteers that make this all possible! 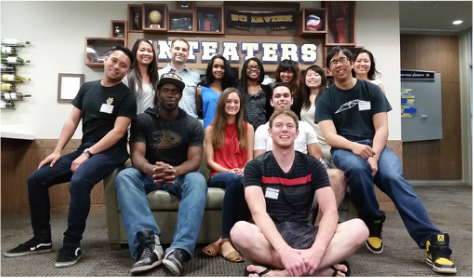 JOIN THE UCI ENGINEERING ALUMNI SOCIETY TODAY!